For many years, Lenape parent Geri Alfinito could frequently be seen at Lenape sporting events. Alfinito’s four children were participants on Lenape sports teams. When Geri passed away suddenly in 2011 at the age of 47, Tom began to look for a way to honor her. A short time later, the Lenape Turf Project was born. The Lenape Athletic Foundation has begun a fundraising campaign to install turf at Lenape’s Driscoll Stadium. Fundraising began in November after the Lenape district board of education and high school administration approved the project. The plan is to name the turf field after Geri. Having a turf field at Lenape was something Tom talked to Geri about for a number of years. Parents of current and former Lenape students have come together to form an executive committee, which has already connected with LandTek Group and FieldTurf to get estimates on the cost of the project. Lori Leonard, a member of the executive committee, said the project will cost approximately $1 million. The committee is hoping to raise $740,000 in cash and $260,000 in material and services. The goal is to raise the money in time for the turf to be installed during the summer of 2016. The entire project will be funded privately. Executive committee member Stuart Yaffa said the school district is not able to help pay for the turf field. However, he noted both Shawnee and Cherokee high schools were able to install turf using private donations. He also said Medford and Evesham have fewer residents than Mt. Laurel. “If they can do it, why can’t we?” he asked. The focus of the fundraising is going to be on families with children in the Mt. Laurel School District. Leonard said many current Lenape parents will not get to see their kids play on the field. Leonard herself no longer has kids at Lenape, but said she is motivated to help improve the school community and make the facilities better for future student-athletes. The turf field will be used for football, soccer, field hockey and lacrosse. The committee is hoping to connect with Mt. Laurel’s youth athletic organizations in those sports to encourage parents to fundraise. Leonard noted the township already has turf fields for its programs and expects support from the community. The turf project is operating under the umbrella of the Lenape Athletic Foundation. To help with fundraising, the foundation is planning multiple events. A gala is being planned for next year, and Yaffa said the committee is looking at other fundraising events, such as a golf outing. So far, the fundraising effort is off to a strong start. The turf project has already received $10,000 thanks to a donation from Group One Automotive. They are hoping other local businesses will also help out the project. Yaffa said there is a plan to create a wall at Driscoll Stadium displaying the names of the donors. For everyone involved, this is more than just a fundraiser. It’s a community coming together to support their kids. Donations can be mailed to Lenape Athletic Foundation/Turf, 235 Hartford Road, Medford NJ 08055. The committee has also set up a website, www.lenapeturf.com, where residents will be able to make a donation online. 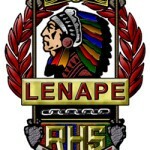 Lenape Turf also has a Facebook page where the latest news on the project will be posted. For more information on the Lenape Turf Project, email executive committee member Dawn Shelko at Dawn@lenapeturf.com.